Lave-Nestles in a green jewel-case in the small mountain village of Breitenbach in the middle of Alsace and at 400 m of altitude. Its geographical situation will allow you to visit Alsace from the north to the south without making too many km. 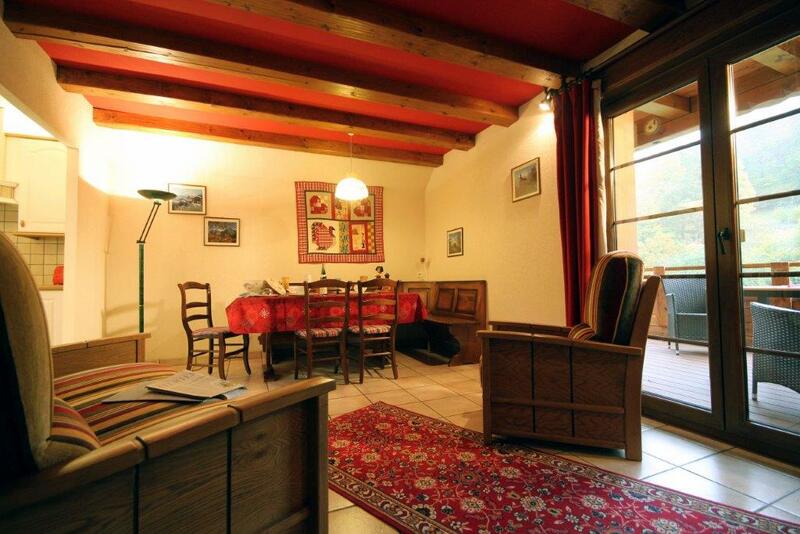 Colmar is only one half an hour away, idem for the small villages of the Wine Route. At half an hour also from the High Koenigsbourg or the Mont Ste Odile. The convivial beautiful kitchen, in white pine, opens onto the front of the home, facing orchards. It is well equipped. You have at your disposal all necessary dishes, pots and pans and other utensils as well as: coffee maker, toaster, kettle. Table cloths and napkins provided. 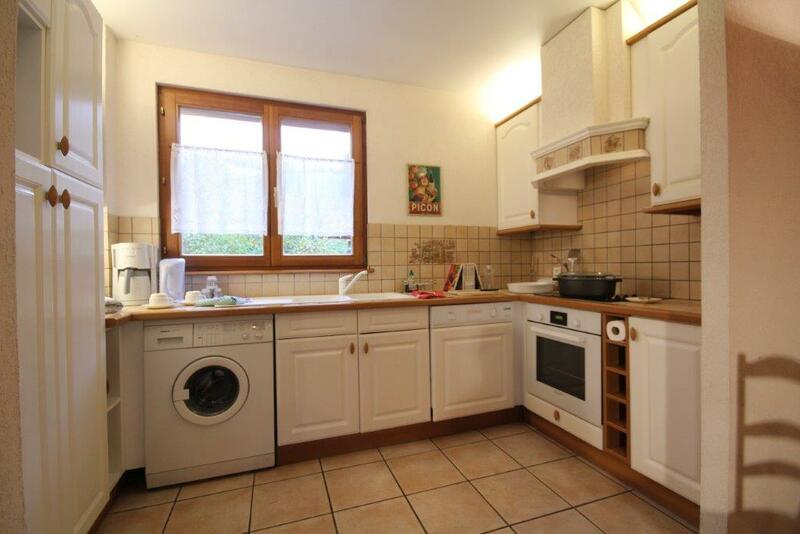 Dishwasher, washing machine, oven, vitro ceramic, microwave, big fridge. The living room: a very nice, convivial, ample and luminous room, with a wide picture window opening onto the terrace facing the forest. For your winter parties you will be delighted to put some logs in the chimney (insert). The nice rural living room is the ideal place to pass delightful serene and convivial instants with the family or among friends. The wide and pretty terrace is equipped with a nice outside furniture. You will be able to become established for breakfast or meals, near nature there, in peace in an exceptional environment. 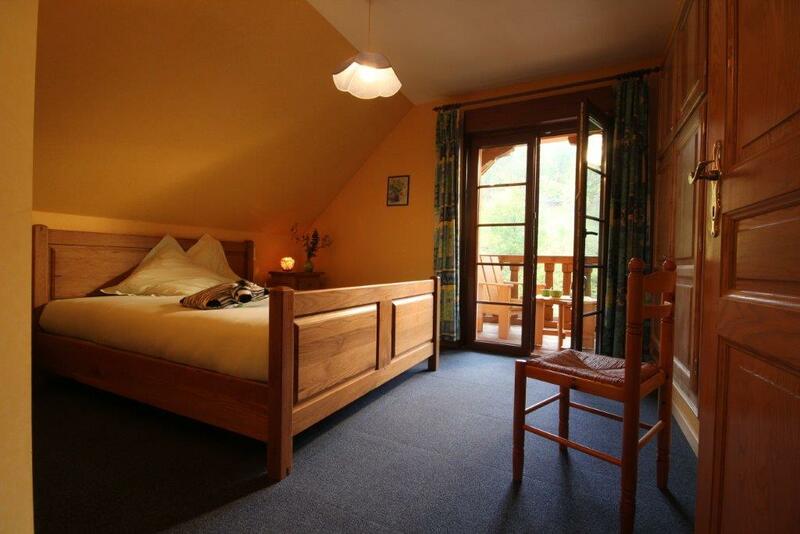 The second level: two superb bedrooms, ample, in the alsatian decoration are opening onto the wide covered balcony facing the forest. Rooms are equipped with beds 160 x 200. The pretty balcony annexed to rooms is equipped with a superb and original outside furniture. Rural and elegant chairs for your instants of calmness. The bath room: opens onto the front of the home facing orchards. You will find a shower and a wash-basin, in a black and white decor. The bath mats are at your disposal. Toilets are independent of the shower room. The third bedroom: at the 3rd level. It is about a nice convivial, clear room “mezzanine” It is equipped with two beds of 1.90 m x 0.90, ideal for the children. A wide window (velux) opens onto a wildlife park with donkeys, lamas and kangaroos and fallow-deer. In the distance, you can see the pretty dales and the forest of Breitenbach. 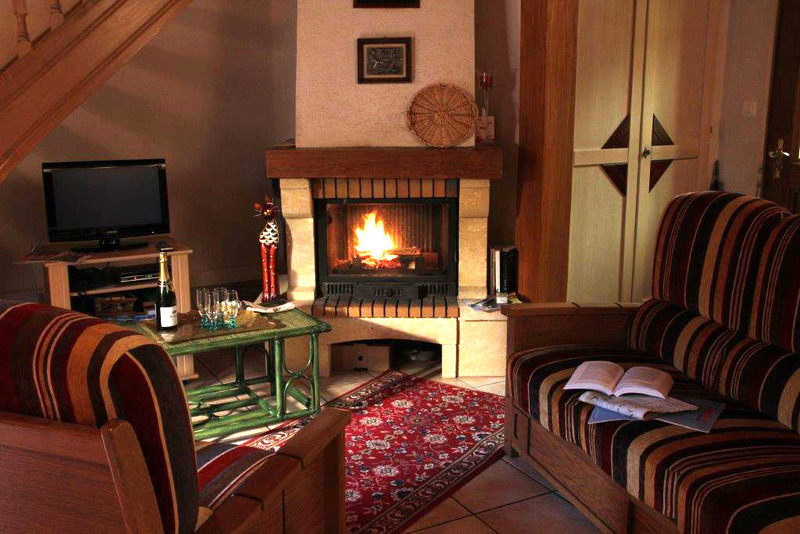 The lodge “Sélestat” is the ideal place for your holiday in the middle of Alsace ! Robert and Astrid invite you to discover it !